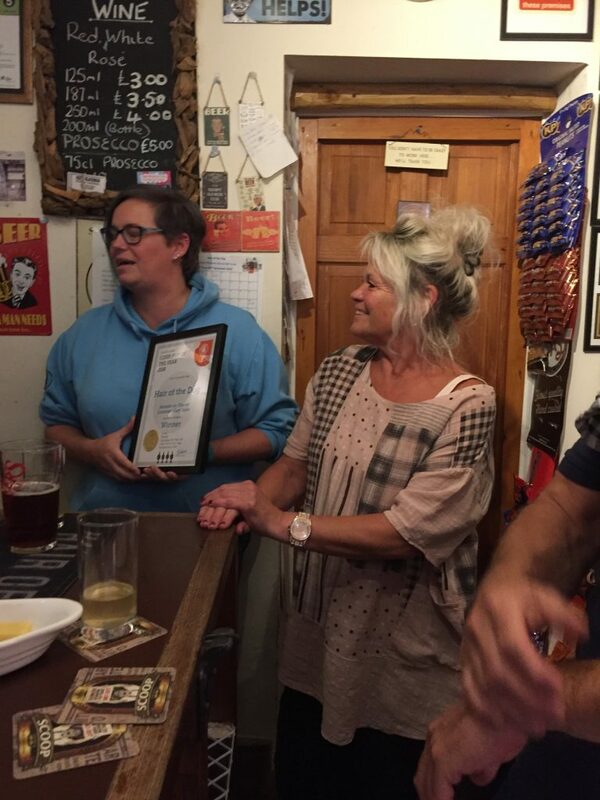 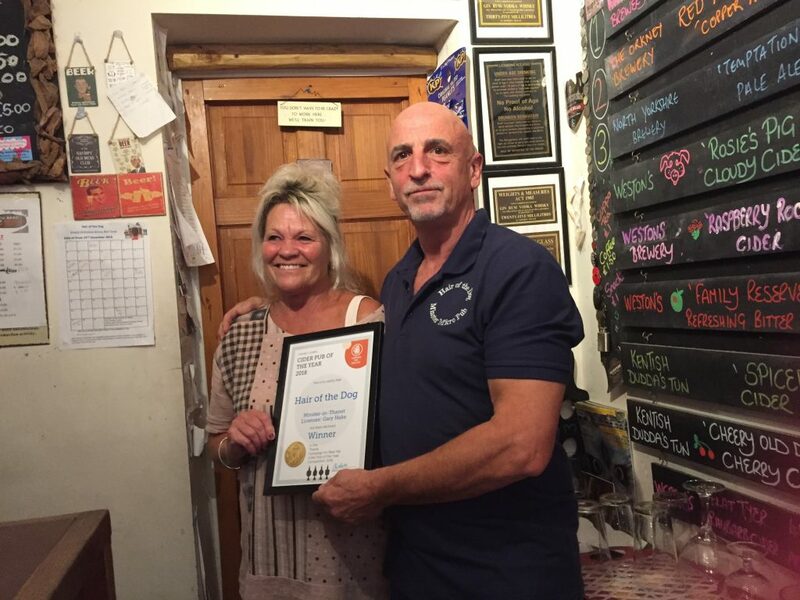 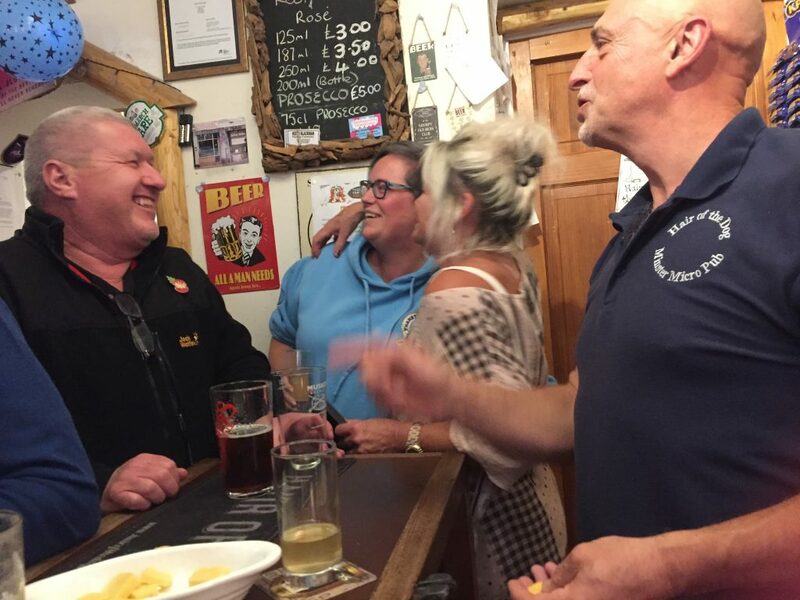 Thanet CAMRA Cider Pub Of The Year 2018 & 2019 ! 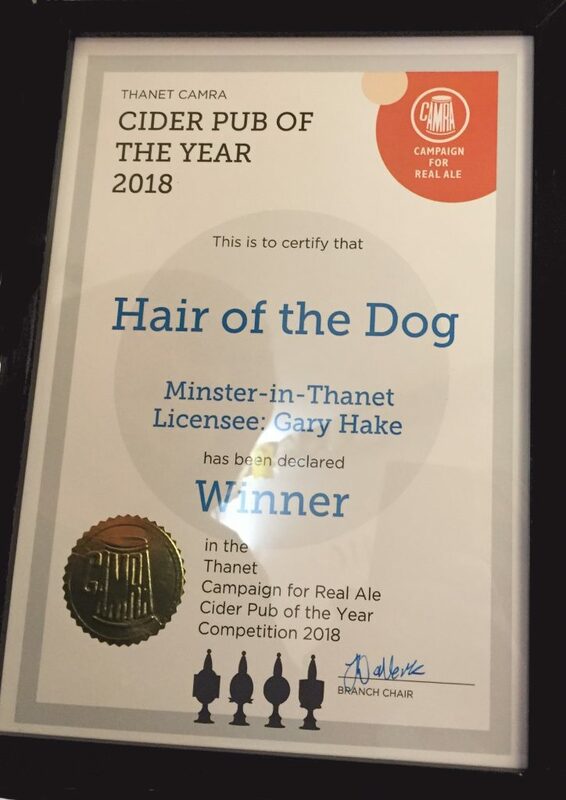 We were delighted to have been named as the Thanet CAMRA (Campaign for Real Ale) Cider Pub of the Year for 2018. 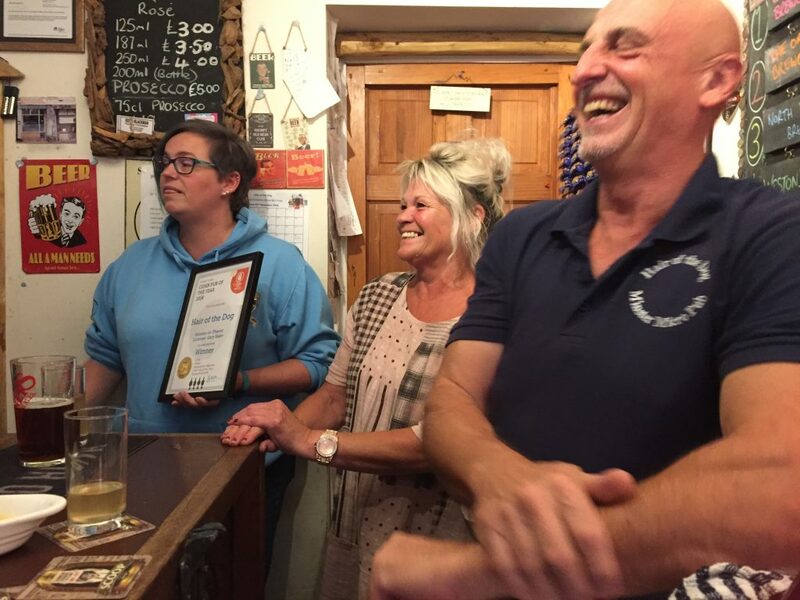 It was such an honour and goes to show how much people love our drinks – we must be doing something right !! 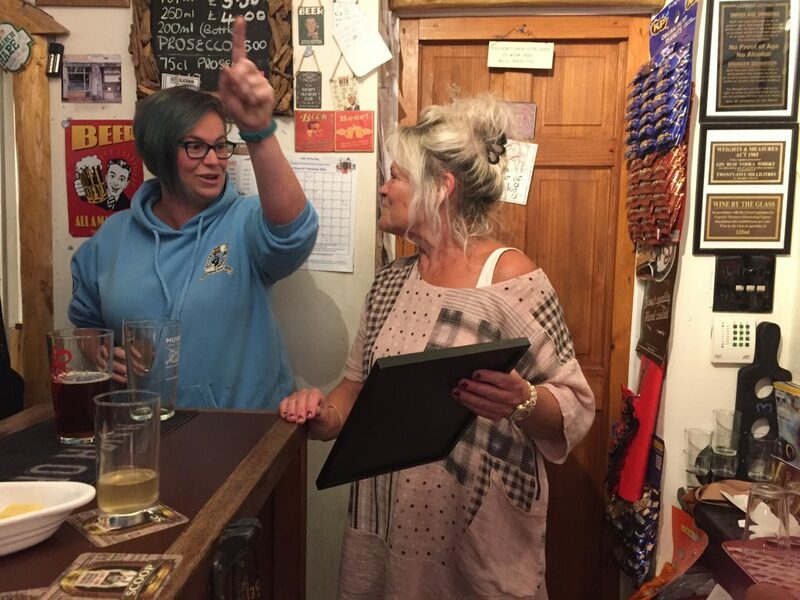 Below are some photo’s from our presentation evening…. 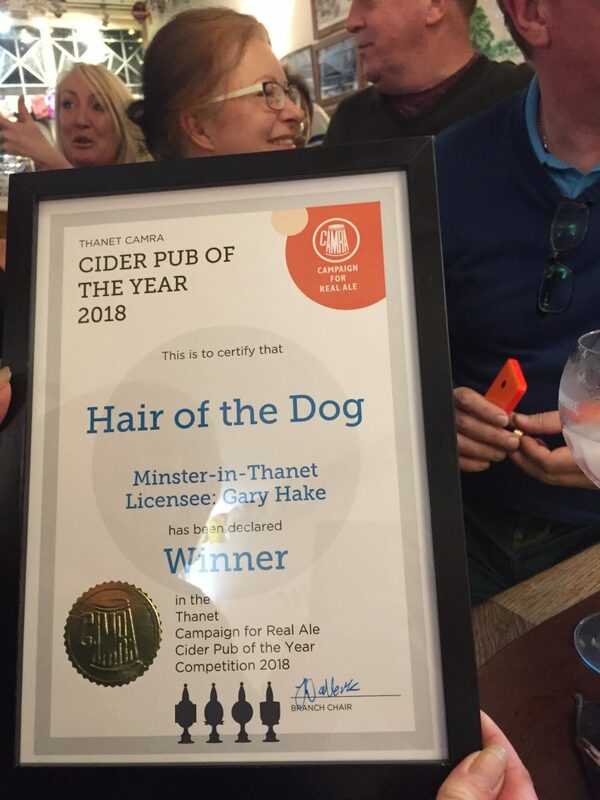 Hair of the Dog shared a post.